In the wake of revelations over the secret deal Bush signed with China Harbour Engineering Company without the benefit of legal advice, and reportedly without the knowledge of his Cabinet colleagues or the Port Authority board members other than the chair, John Henry, the release of the correspondence shows that, had the UDP Cabinet backed Glidden, the GLF deal might have gone ahead and Bush could have stepped down almost two years before he was ousted from office. The minority government, which consists of five former UDP members who are now running in the May 2013 election as the new People’s National Alliance, have been defending their position regarding the port debacle. They all say they had no knowledge of the deal, which Bush signed behind closed doors and could still leave the country facing another whopping legal bill. In the exchange of emails on 14 April, after Bush had already written to GLF telling them he was cancelling the talks, Health Minister Mark Scotland offered his support for the GLF proposal but a few minutes after that, Bush sent a very blunt email to his parliamentary party colleagues. Bush told the UDP government members that they could listen to whoever they wanted but as leader of the project and the person responsible for tourism and development he would not be signing any contract with GLF Construction. “Can we be so dumb to give them permission for the project without them providing binding agreement for financing? Hell no!! !” Bush states. “If any if you don't see the sense in the Chinese doing the project and the farm and Spotts then tomorrow you can have my resignation from the post as Premier and the cabinet and you can run it!! That is where I stand,” the leader told them. Although no correspondence after that has been released, history indicates that the UDP team opted not to call Bush’s bluff and allowed him to move on with the Chinese talks, which were handed over to back-bench MLA Ellio Solomon. At last Thursday’s press briefing the former UDP members claimed there was nothing they could have done about what was to happen later as they were simply unaware of Bush’s decision to sign. Had that agreement come before Cabinet they would not have supported it, Mark Scotland insisted, adding that any questions they asked about progress on the port were brushed aside. “We regularly asked for updates on the progress of the negotiations and we would get reports saying that things were being worked on such, as the framework agreement and the business plan, but even to date we have never seen the business plan," Scotland said, as he described the answers to questions about the CHEC talks as “sketchy reports”. They spoke about the autonomy of ministries and not “looking over each other’s shoulders”, regardless of collective Cabinet responsibility. The ministers said that when it comes to their individual areas of responsibility, they get on with their talks and discussions and it is not until concrete proposals are ready for discussion that the initiatives and projects they are working on are discussed by all Cabinet members. “Cabinet did not approve or see the framework agreement signed by Mr Bush, and what we don't know about we can't reveal,” Deputy Premier Rolston Anglin stated last Thursday, as more questions were raised about the part in the cruise port fiasco played by those who were in the previous UDP Cabinet and are now the PNA members. Glidden reminded everyone that he was removed from the project, and although during his negotiations with DECCO and then GLF there had been regular briefings and public announcements, that stopped during the time when there was a “clear separation,” he said. The ministers denied that Bush was running the Cabinet as a dictatorship as there was nothing before Cabinet regarding the port for the members to either agree or disagree with or for Bush to dictate. However, they agreed that Bush’s decision to sign the deal without discussing it with Cabinet amounted to “reckless and negligent behaviour”, as it should have been discussed with the members, not least with the attorney general. The government members said that they were told that the final agreement would be better than any of those before it and that they could expect to see much better financing terms as CHEC had greater access to cash, and they would not need a bond, as was the case with GLF. However, the recently leaked agreement which the new Cabinet members saw for the first time when it was published in the press turned out to be far worse. Since then, however, the former premier and UDP leader has denied that the agreement, which was signed by him on every page, was binding. Cabinet members have confirmed that they are continuing to seek legal advice on the deal and what appears to be a liability for the CIG of some $3.6 million. See correspondence about GLF and CHEC between UDP members below. (CNS): Traffic was in chaos Tuesday during the morning commute and the afternoon school run when the traffic lights failed twice at Bobby Thompson Way and Smith Road in George Town. The RCIPS urged motorists to be extra cautious as they approach the junction and to consider it as a four-way stop while the lights were out. The National Roads Authority temporarily fixed the problem this morning but they failed again sometime after 3pm. The RCIPS will be monitoring the situation and if need be will deploy officers to manage the traffic flow. Any enquiries about the traffic light repairs should be directed to the National Roads Authority. (CNS): Sebastien Guilbard has recently been recognised by the Office of the Deputy Governor as the Honorary Consul for France in the Cayman Islands. Guilbard will represent his native France and the French Miami Consulate from Cayman which has been his home for the past ten years. In his official capacity he is able to help French Nationals with official documents, as well as any problems or emergencies which arise. 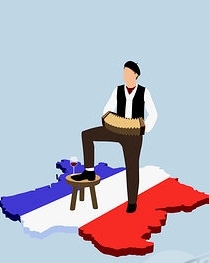 These issues include birth, death or voter registrations, loss of passports or French National IDs, liaising with the Miami consulate during hurricanes and natural catastrophes, as well as assisting French nationals in distress and/or missing persons. Although French nationals must travel to Miami to renew their passports and IDs, Guilbard said he will be able to deliver passports to those residents on Grand Cayman so French nationals can at least avoid a second trip. Guilbard is the General Manager for the St Matthew's ResidenceHall and Residence Suites. His office is located at 115 West Bay Road, and he can be reached from 8am to 6pm at 949-2118. His e-mail addresses are: sguilbard@smu.ky andsguilbard1@hotmail.com. Guilbard was born in Le Havre France but raised in West Africa, he returned to France in 1980 with his parents. He has a Baccalaureate in Economics and attended ISG (Institut Superieur de Gestion) in Paris. He is married to Catherine Delapenha. 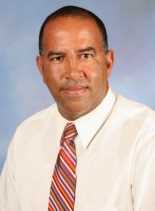 He joined St Matthew's University in May 2001 in Belize as Campus Manager. Prior to bringing St. Matthew's University campus from Belize to the Cayman Islands in 2002he was a financial adviser for Norwich Union, and also managed hotel-restaurants in Monaco, Moscow and Belize. Guilbard has been a Rotarian for the past eight years and is currently president of the Rotary Club of Grand Cayman. He is also on the board of Cayman Crime Stoppers. 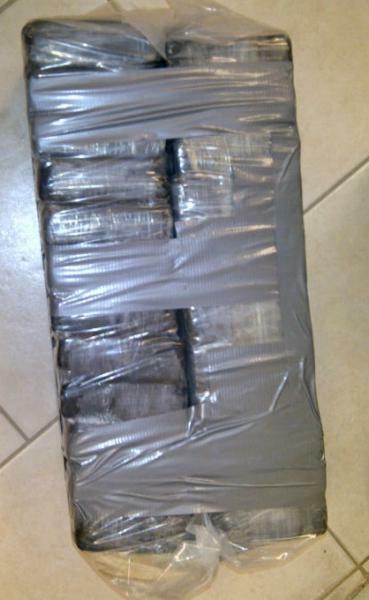 (CNS): The police have recovered another huge haul of what is believed to be cocaine on Cayman Brac on the south side of the island. The haul, which is very likely to be linked to the $3 million worth of the drug that washed up between the Brac Reef and the Divi Tiara resorts more than one week ago, consists of the same size packages. It was discovered on Monday (29 April ) evening at around 6:45pm by customs officers, who alerted the police when they spotted the suspected drugs. The twenty-five packages measure around 8”x6”x2” and in total weigh around 60lbs, similar to the hail found on the island on Saturday 20 April. The packages are now in the hands of the police, who said they are carrying out forensic testing. The drugs have an estimated street value of at least $3 million dollars. Combined with the previous batch of a similar value which washed up earlier this month, the loss of more than $6 million will be a significant issue to whichever drug group was involved in the shipment of the contraband. Anyone who has any information about the drugs, or of any drugs activity in the Cayman Islands, is asked to contact the Drugs and Serious Crime Task Force on 949-4222, the RCIPS Tip-line 949-7777 or Cayman Crime Stoppers on 800-8477(TIPS). (CNS): Lyndon Leathan Martin (42), a former MLA for Cayman Brac and Little Cayman and a former UDP whip, has been found guilty of stealing $926 from the PTA of the Creek and Spot Bay Primary School. The court found that he collected the cash at a fundraising food sale in 2011 but did not hand it over to the PTA. In Summary Court on the Brac on Friday 26 April, the day following his trial, Acting Magistrate Grace Donalds handed a sentence of $750 or two months in jail for the charge of theft. However, he was found not guilty of deception, relating to charges that he fraudulently cashed PTA cheques amounting to $700. Martin, who was nominated to stand as a candidate in the May 2013 elections, had been disqualified because he was convicted in 2008 of obtaining property by deception. Since the 2008 conviction was for a dishonesty offence, he was barred from running in any General Election. Martin told CNS in response to his disqualification, "I completely disagree with the ruling but will have to accept it. My police record is completely clean." However, even if he had not been disqualified for the 2008 conviction, this latest court ruling would have meant that he could not run for office under the current constitution. Martin represented the Sister Islands in the LA from 2000-2005 and, together with his fellow Brac MLA Juliana O’Connor Connolly, he was a founding member of the United Democratic Party in 2001, following the ousting of Kurt Tibbetts as leader of government business. While O'Connor-Connolly was initially given the job of speaker by the new LOGB, McKeeva Bush, Martin became the party whip (a member charged with ensuring that party members vote according to the official party policy). Having lost his seat in the 2005 election to Moses Kirkconnell, Martin failed to regain it in the 2009 General Election. (CNS): As difficulties at HMP Northward mount, government officials confirmed Tuesday that they were forced to deal with a minor fire around midnight on Friday (27 April) after lockdown in the prison's high security area. According to a release from the prison services via Government Information Services, the minor fire was dealt with by prison officers and not the fire service. The blaze was reportedly started by an inmate who is on remand at the High Risk Unit (HRU) when he set fire to his clothes in the cell. 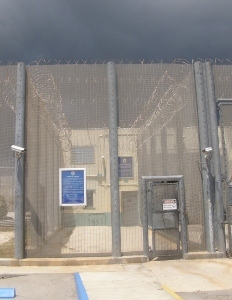 As a result, officials said some inmates in the HRU were escorted to the Cayman Islands Hospital and treated for minor effects of smoke inhalation before being returned to Northward. 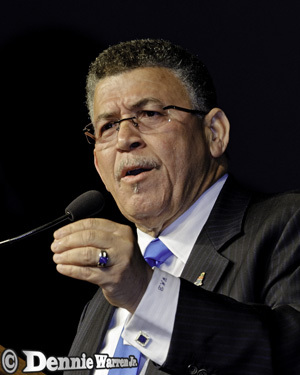 (CNS): The former premier of the Cayman Islands said that the electorate needed to return an experienced government to office at the forthcoming polls, as he took aim at the independents on Thursday night at the UDP national campaign launch. “This is no time for learners,” McKeeva Bush told an audience of almost one thousand people, as he accused the candidates running on their own of being “lone wolves” who were “chanting empty slogans”. Bush said that if people split their vote among the independents they would simply return a PPM government, as he told them to vote for the six UDP candidates in her capital, just the two in Bodden Town, as well as his team in West Bay. Given the challenges facing Cayman at present, he said, he knew what needed to be done and that the country needed the best government, which would not happen under a collection of independents. Criticising the empty rhetoric of the independents, he said the UDP had solid policies and that it would stand up to the UK and protect the country. “We will fix the problems that stand in the way of progress,” Bush said, promising a government that “brings value for money”. Bush has more than 28 years of experience in government; his George Town team leader Mike Adam almost served one full term as a minister; Ellio Solomon was on the back-benches for one term and Capt Eugene Ebanks has also sat on that same back bench for the last twelve years. However, the rest of his team are novices to the political arena. 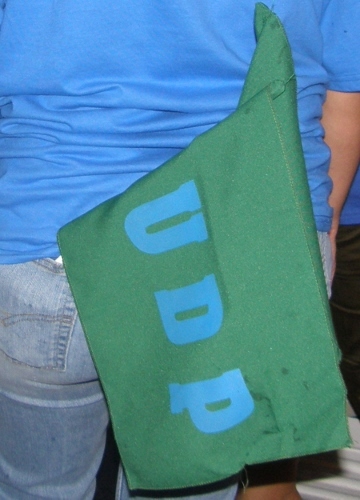 The UDP split in December, following Bush’s arrest for theft and other offences and the subsequent charges, led to the more experienced members of his UDP team leaving the party. However, with a lawyer, several businessmen and four former civil servants on his new team, Bush is hoping to carry the eleven candidates with him for what would be his eighth term in office. In a restrained political speech for Bush on the hustings, he spoke little about his current legal troubles except to point out that he sometimes felt battered. He could have hung up his political boots, he said, but he was not that old yet and was determined to work for the people of Cayman, which could be a better place to live. Although Bush is due to appear in Grand Court to answer the 11 charges against him on 28 June, the adjournment on Friday has cleared the way for the UDP leader to focus on the campaign and his bid for a second term as premier. The campaign launch was also meant to introduce the party manifesto, which was delayed until this weekend. However, Bush said that the document (now available on the UDP website and posted below) contained solid strategies and not empty promises. Claiming to have stabilized the economy and public finances over the last administration, the document states that the UDP will continue to build on that stability over the next four years. With a promise of fifteen things the UDP will work for and a commitment to reduce unemployment by 25% in the first 100 days in office, the party is hoping that recent events will not prevent voters from returning a UDP government. With a significant number of independents, former UDP members who are now running as the People’s National Alliance, the Coalition for Cayman and the PPM, the opposition vote to the UDP will be split three ways, giving Bush’s team a genuine chance of being returned to government, despite their leader’s criminal charges. There is nothing in the constitution that would prevent Bush from taking the helm of government once again, even after being ousted in a no confidence vote last December. 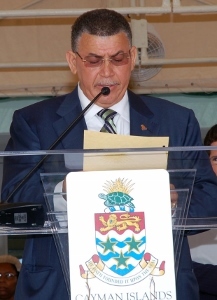 (CNS): The former Cayman Island premier, who is facing at least eleven criminal charges in relation to theft and abuse of office, has announced the introduction of a code of ethics for all members of his United Democratic Party who are returned to the Legislative Assembly following the 22 May election. Speaking at the recent national UDP campaign launch, he said the code would guide the behaviour of the UDP team before and after the election. According to the code, the goal is to assist MLAs in meeting their obligations to the “Legislative Assembly, the UDP, their constituencies and the Caymanian society at large” and sets out the standard of conduct, behaviour and ethics expected of them in their public life. The code is posted on the UDP website and includes all the existing rules and procedures that apply to all members of the Legislative Assembly. It states that all members have a duty to respect, to act in accordance with and uphold the law, and to act on all occasions in public life in accordance with the best interests of the public. The code states that members are expected to observe general principles of conduct, which will be taken into consideration when any reasonable complaint is received alleging any breach of the code. From accountability for their decisions and actions to the public to providing accurate accounts relating to matters under scrutiny, the code calls on MLAs to make decisions solely in the public and not personal interest. Jumping on the integrity bandwagon, which appears to be a campaign promise from every single group and every independent candidate running for office, the code requires members to declare and avoid any financial or other obligation to outside individuals or organisations that could influence or conflict with their duties. The UDP code obligates the candidates in this election to conduct themselves in a manner that respects the rights and legitimate democratic interests of all citizens, voters, political parties and to avoid behaviour that may bring the electoral system into disrepute. It also calls on members to make accurate statements and not defamatory comments regarding other candidates, including in any promotional materials, newsletters, electronic messages, signs or posters. Despite this ethical mandate, Bush recently sent messages to his supporters, defending himself against the criminal charges he faces, in which he makes allegations of corruption against his former party colleague, Rolston Anglin. See the code of conduct on the UDP website here.